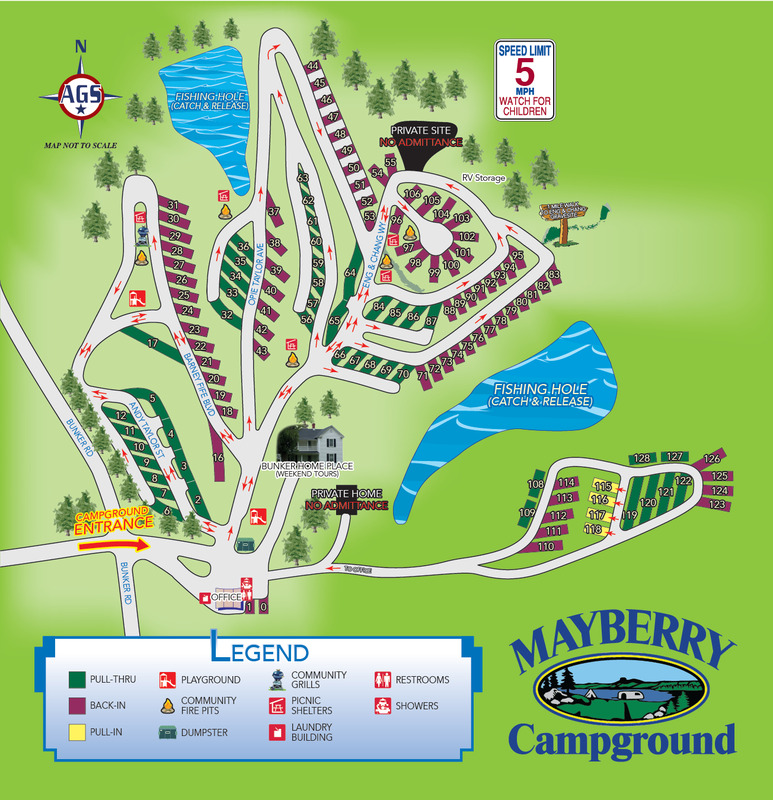 Ask fellow campers about "Mayberry Campground" and nearby attractions. 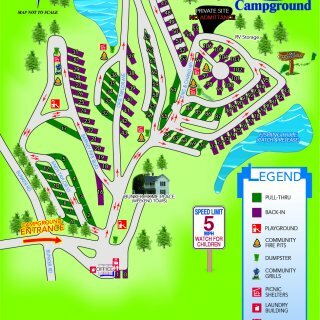 Its a nice campground close to 74/77. Check-in was fast and pleasant. The gravel pull thru site is longer than our 35' plus tow. The utilities were well placed and worked great. Lots of cable channels. The layout was spread out, but there are few trees. It was a great place for an overnight stay at a readonable rate. We will stay again. We camped at Mayberry Campground in a Motorhome. The only negative comment I have is that the turn off of the main road is poorly marked - I missed it and had to make a u-turn. Check-in was fast and easy. As promised, the site was long enough that I didn't have to unhook just for one night. All utilities worked fine. It is worth the short trip off of I 77 or I 74. Very nice CG. We camped at Mayberry Campground in a Travel Trailer. Check in was quick and easy. I like how they terraced the camp sites, it is a very nice camp ground with level, clean sites. The 50 amp power was good, water pressure and sewer were good. Our cable TV channels were fuzzy. Verizon cell service had 4 bars. Road noise wasn't bad we were in a lower level site 42. I definitely would come here again. We camped at Mayberry Campground in a Fifth Wheel. Shelton Vineyards tours and tasting. Nice staff. New area does not have cable yet, which we did not need anyway. Great for a one night stay to see Mt. Airy. We would stay again if in the area. 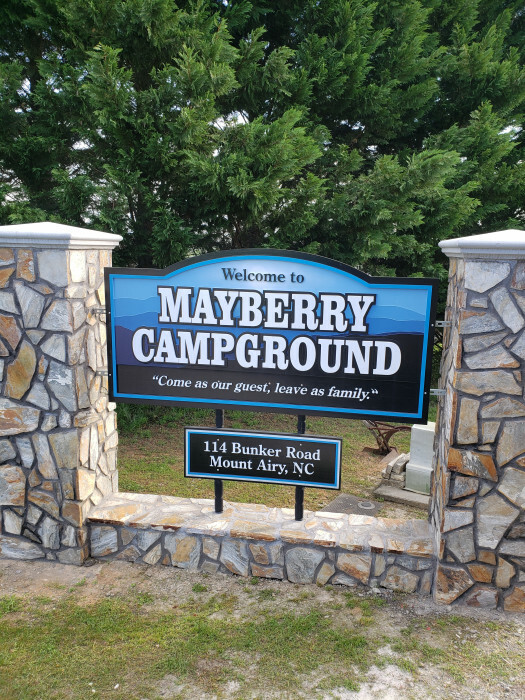 We camped at Mayberry Campground in a Motorhome. 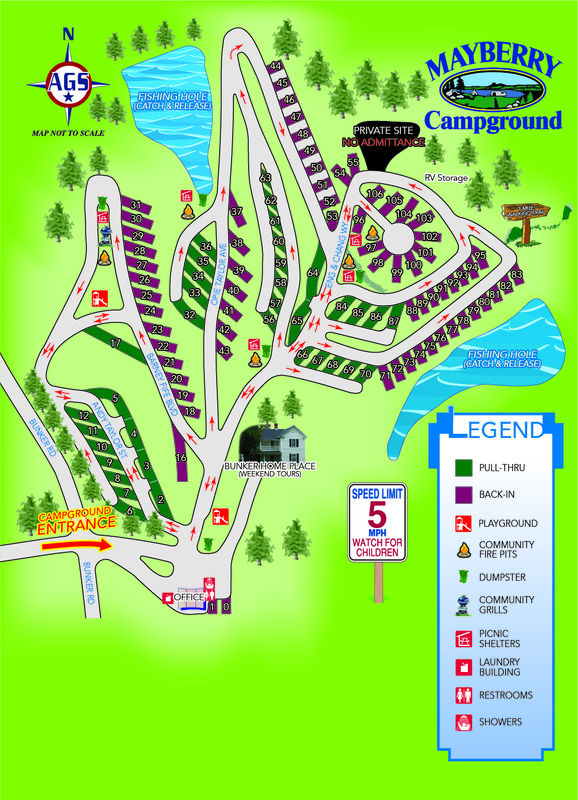 Beautiful well kept campground, friendly staff. You need to ask for a picnic table and fire ring for most sites, some have them permanent. Only one bathroom each men's and women's, women's was clean, only one shower and two toilet stalls with curtains no doors. We camped at Mayberry Campground in a Travel Trailer. Visit Main Street Mayberry (Mt Airy) very friendly place. Nice little campground. Quiet and relaxing. Sites are close together, but lots of older travelers so it's not crazy. 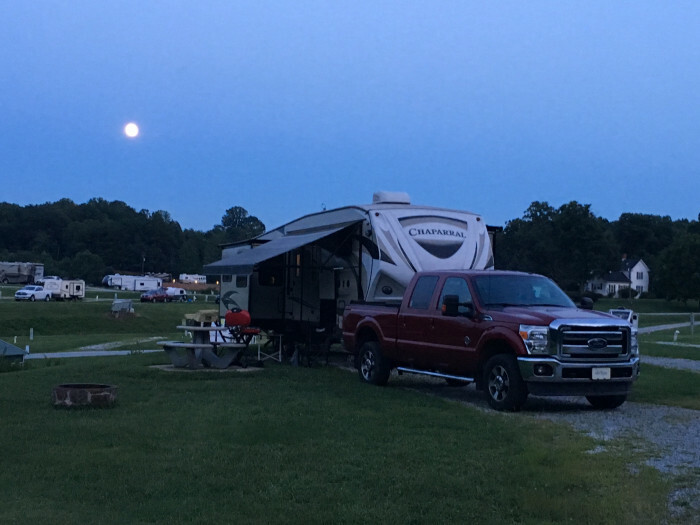 We camped at Mayberry Campground in a Fifth Wheel. Check out the Andy Griffith museum. Lots of TV and movie trivia. Visit the Snappy Lunch to enjoy the pork chop sandwich for lunch, but get there early (around 11:30) to avoid the crowd. They close shortly after one. Enjoy a great little downtown area. We had dinner at 13 Bones and it was very good and reasonably priced. Love this campground! One of the nicest we've ever stayed in. Stayed three nights. Two nights at Passport America rate and one night at Good Sam rate. Booked this campground earlier in the month but had to cancel at the last minute due to maintenance required on my tow vehicle. They did not give my money back (didn't expect them to) but they did keep it as a deposit for when I wanted to return which was later the same month. You could hear traffic on the highway but it really wasn't all that distracting. Owners very nice. Sites are level, plenty of space between sites, electrics no issues, water pressure good, cable great, WiFi great, Verizon cell signal very good with 3 to 4 bars. Fishing was good too. Will definitely be back and looking forward to it! 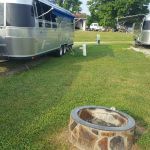 We camped at Mayberry Campground in a Fifth Wheel. Town of Mt. Airy is always fun with the Mayberry sites to see. Especially enjoyed the Andy Griffith Museum. Also made a trip to Pilot Mountain State Park. Very pretty park. Nice park close to Mt Airy, home of Andy Griffin's boy hood home and Pilot Mtn State Park. The sites are good size with full hookup to include cable. The location is somewhat close to major hwy but, in our spot #69, it was not bad plus in the heat all windows closed, AC on so the outside noise was not an issue. The office was nice and staff did make the stay comfortable. If in the area and need good place to stay a day or three, this will be a good one. 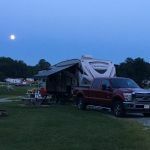 We camped at Mayberry Campground in a Travel Trailer. Be sure to take the trip to town and see Main Street with lots of history and references to the TV show. Campground close to Walmart, new Starbucks and other well known resturants and fuel stations. You can make the short drive to VA and save some .10 per gallon on fuel. The park is large and spacious, with no pool. The roads are wide and easy to navigate. The road to the park can be a little intimidating with the small hill on the approach after a sharp left turn into what appears to be a residential area, but you soon arrive at the park. After a no nonsense check-in, we arrived at level asphalt site #67. There are no trees in the park.. If you want a picnic table you can ask for one, we didn't have one on arrival. It is 15 minutes to downtown Mount Airy. 5 minutes off of the interstate. I would return. 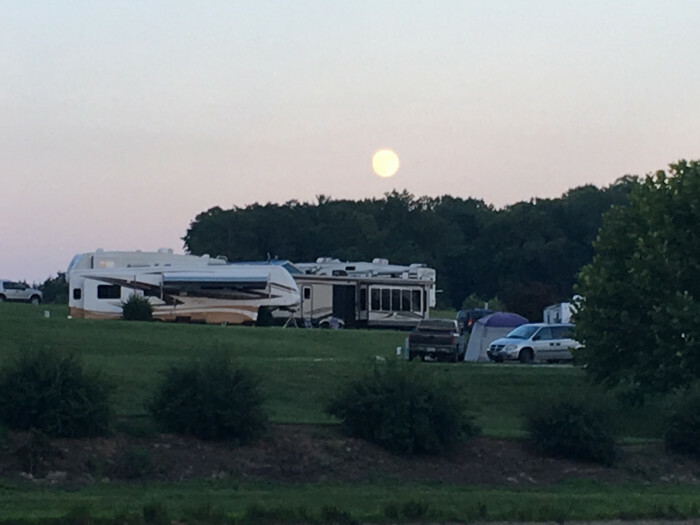 We camped at Mayberry Campground in a Motorhome. Since there is no pool at the park, there is a pool at the community center. Lap swim starts at 6:30pm. Take the Squad Car tour of Mount Airy. Walk Main Street in downtown Mount Airy. Visit the Andy Griffith Museum. One of the people that might greet you at the park is a descendant of the famous Siamese twins! It was just an over night stay for us so I can't rate most of amenities. It seemed to have a lot of places to visit in area that would have been fun and interesting, especially concerning Andy Griffith and his TV show . 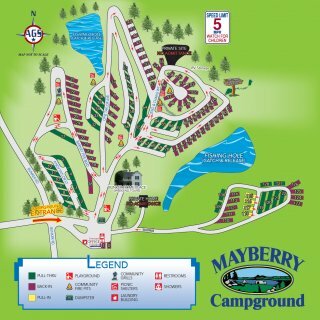 We camped at Mayberry Campground in a Motorhome. There are not a lot of amenities at this campground - there is a laundry area and a primitive bathroom. We were kind of crowded up in a parallel parking kind of a pull-thru site, but we only paid half price with PA, so it was a good deal for the money. We were up high on a hill overlooking the campground and had a fantastic view! Many of the lower sites in the campground are very spacious. Two ponds and a lot of green space. However, the roads are paved with stones and are very hard to walk on. It is very close to Mt. Airy. We camped at Mayberry Campground in a Motorhome. Walk through the DT of Mt. Airy - lots of historic buildings have been fixed up - touristy stuff. The And Griffith Museum is nice. Drive out to Pilot Mountain - awesome views. If you like to ride bike, there is a bike trail that follows the river that encircles most of Mt. Airy. It's a nice paved, level trail - about 14 - 15 miles RT. There had been a lot of rain so sites were wet and muddy. Gravel sites. Weak WiFi, had to use our extender. Had some difficulty leveling. Sites close together. Otherwise an okay place to see Mt. Airy and Pilot Mountain. We camped at Mayberry Campground in a Motorhome. Old North State Winery in town a great place for dinner and wine. Live music on weekends! Called as we were traveling thru. Did not have to secure with a credit card. Staff is very friendly and helpful. 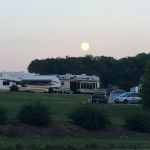 We camped at Mayberry Campground in a Motorhome. You might want to request a site on the outskirts of the campground loops in order to not eat dust. Walmart, restaurants, fuel, shopping, Lowe's all nearby in Mount Airy. Andy Griffith sightseeing in town also. This land originally belonged to Chang and Eng Bunker, the original Siamese Twins who were conjoined at the liver. One of the houses they lived in is still in the park. The twins married sisters and between them they had 21 children - ten by Chang and 11 by Eng. Each wife wanted her own house so they would move weekly from one house to the other. We tried to use the map given us at the visitors center to see the sights, but to us it was VERY hard to follow. Main Street is one way so we kept looking and looping trying to find places. Have to go to Floyd's Barber Shop!! The owner couldn't be nicer and takes everyone's picture when they go in. His Dad cut Andy's hair when Andy lived there and his son continues to operate the shop. So nice! He also has cool Tee Shirts for $10! Free WiFi. They had a RV dealer mobile parts trailer on site with a lot of things you might need. As said before everything is nearby, within a couple miles. If you look towards the mountains( US 52) that's were you can get on Blue Ridge Parkway (also NC/Virginia state line and diesel is about about 20 cents cheaper in Va.)! other direction on US 52 you will be headed towards Winston Salem; about 20 mi's is Pilot Mt. state park, if you go a bit farther (I forget the mileage) is Hanging Rock state park. Mt. Airy is a great little town to visit, especially if you are an Andy Griffith Show fan. Wally's Service Station is next to the "Courthouse". Both are worth a stop. You can take a guided tour of the town in one of the "Sheriff Andy" police cars. Downtown Mt. Airy's 3-4 blocks should be walked. Try some of the homemade pies (and other bakery items) at "Miss Angel's Heavenly Pies" Some have "moonshine" added to them. Mt Airy is the home of Andy Griffith, so if you grew up with the Andy Griffith show, you will really enjoy your stay here. If you are a BBQ person, don't miss Little Richards. Seeing all the Mayberry/Andy Griffin places in Mount Airy was fun. Stayed here to see all the Andy Griffith place from the Mayberry show. Lot to do in area can easily spend a week here. Blue Ridge Pkwy close, wineries, breweries, distilleries. Near to shopping and siteseeing in Mt. Airy. Go to the top of Pilot Mountain for fantastic views. Andy Griffith Museum is a must do, espicially if you are are a Mayberry fan. Mt. Airy, aka Mayberry, was a fun little walk down memory lane for those "young" enough growing up with "The Andy Griffith Show". Don't miss Pilot Mountain. You can drive your toad to the top, incredible views and good hiking. Also, Floyd's barbershop in Mount Airy is worth visiting if you need a haircut, even if you don't. Little Richard's BBQ is outstanding. Mt. Airy has a restored downtown with lots of Mayberry momentos. This is the home of Andy Griffith-of Mayberry. Town features a museum, it was closed when we arrived (kinda pricey IMHO) there is a statue of Andy and Opie out front. You can also drive by his childhood home-it's a B&B now. There is also a granite mine on the outskirts of town. When in Mayberry be sure to take the tour in the police car that was used by Andy and Barney. Definately go to Mt Airy where you will find "Mayberry" stores,ect. Aside from the nearby attractions, take a ride out to Boone and surrounding towns. It's Mayberry (really Mt Airy) ! Andy Griffiths home town. Pilot Mountain, Hanging Rock State Parks, Blue Ridge Parkway, Jeb Stuart's birthplace in Ararat Virginia. Close to Mt. Airy and the Blue Ridge Parkway is about 20 minutes away. Mt. Airy is a good place to spend an afternoon just visiting the shops; eating at Barney's café; or taking a tour in an old police car. Blue Ridge Parkway is beautiful this time of year. Visit Mabry Mills. Good location to visit Mt. Airy NC and surrounding area. DIstillary tour was fun. Several wineries in the area. Was here for "Mayberry Days" and enjoyed it. Parade, displays etc. Town also has numerous large old houses worthy of a drive by to look at them. A large granite quarry is on the edge of town, interesting but would have enjoyed it more had we been able to look at the machinery. A short drive to Pilot Mountain state park and worth the drive for the view from the mountain. All modern shopping conveniences located on highway between the CG and town center of Mt. Airy. Much to do in area...many shops and restaurants. While visiting downtown Mayberry, visit the quarry and learn how it was acquired and why. Ask questions about the Siamese twins: Chang and Eng. Very, very interesting. Lots of things in Mt. Airy. Go to local country music jam session on Tues night at old movie theater - free. Pay attention when you arrive at the front of the park. We missed it once and wound up having to unhook/turn around. The park is very close to Mt. Airy and many eating places. There are several vineyards in the area. Walmart is about 5 miles away. Mobile RV service is available and a Camping World is about 12 miles away. Mt Airy is home to Andy Griffith & oodles of places to see relating to the Andy Griffith Show. There's a museum, a statue of Andy & Opie, the visitors center is a facade of Wally's Service Station with tours in a vintage squad car. Downtown is full of shops with names from the TV Show: Floyd's Barber Shop, Snappy Lunch, Walker's Soda Fountain. There are lots of souvenir shops. The house that Andy Griffith lived in through high school is now & B&B. Best Mexican restaurant that we have found since Texas- Chile Rojo. So good that we actually went twice in 3 days! Mt Airy town center is as it was in the 1950s when Andy Griffin grew up then copied town as Mayberry. I recommend taking the Police car tour upon arrival to town. The driver gives an excellent overview of the area and helps in deciding what to visit in depth. There is a helpful visitors center on main street also. Pilot Knob SP and Hanging Rock SP are also a short drive from park. Check out downtown Mt Airy, they have all kinds of great shopping. also check out the Andy Griffith Museum. It like walking back in time to when life was a little simpler and less hectic. Visit downtown Mt. Airy. They really play on the whole "Mayberry" theme and there are a lot of fun stores to visit. Walmart is close, north on 601 and all sorts of restaurants and shopping, Mt Airy is of course the inspiration for Mayberry and the business use that. Although it has commercially expanded there are some delightful "small town" neighborhoods. Close to shopping and restaurants. Great free old time music jam sessions on Thursday nights at Earle Theatre downtown Mount Airy as well as live radio old time music on Saturday mornings. Close to Mt. Airy, NC. Boyhood home of Andy Griffith. Many "Mayberry" themed sights/tours including Wally's Filling Station, Snappy's Lunch, Floyds Barber Shop, replica of Courthouse/Jail/Sheriffs Office & Andy's boyhood home. Many NC Winery's close by. We didn't get to do any sightseeing, but their was lots to do. It was the home of a couple of famous people including Andy Griffith and the most famous Siamese twins. We are looking toward to having a few days there next trip. 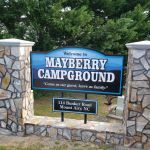 Are you affiliated with Mayberry Campground ?